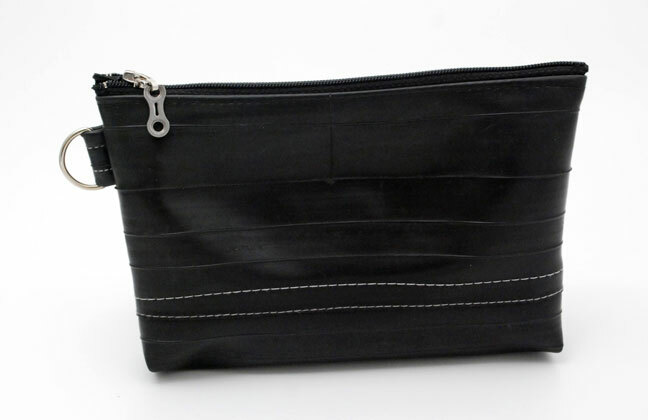 Fill it with tools, money, a small coin purse, make-up, cell phone, business card wallet, iPod – you choose. I just re-designed this bag . Now it has a D-ring in the side seam. It’s even better now for attaching keys or to clip to a backpack or your bike. It also holds the coin purse and wallet easily. 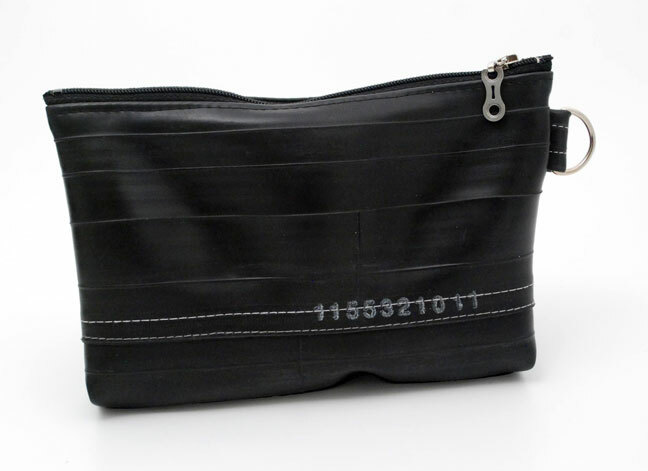 I sew this bag from 3 strips of inner tubes. Each is unique because I use a variety of brands of recycled inner tubes. I use old chain links as zipper pulls. I do use new zippers and thread for durability and practicality but the tubes and pulls are from bike shops and biking pals. The D-rings are usually re-cycled from belts I find at the thrift store although I do buy some new.